SNAFU! : Gock 19X. Compact slide, full size frame? Gock 19X. Compact slide, full size frame? Glock is rolling out its 19X and I just got news in my inbox this morning. I haven't watched any of the review vids or read any articles. This is just my take on the basic concept. 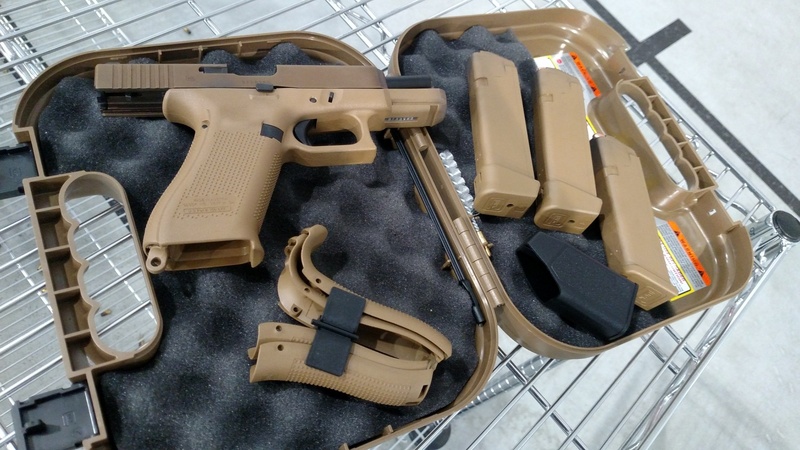 A Glock 19 slide length married up to a Glock 17 frame? I've seen wildcat things gone that give you the Glock 17 slide with the frame cut down to Glock 19 length, but to do the opposite? With my carry G26 I walk around with the 10 round mag inserted and have a G19 mag as my reload. If I was carrying for duty work I would probably rock a G19 and have 33 round G17 mags in my bailout bag. Who is this setup suppose to appeal to? If I feel a need to carry the G17 then why would I not go with the slightly longer slide length? That's in a duty carry scenario. Why would I ever want a G17 frame with a G19 slide in a concealed carry role?